Welcome to St. Mary’s! At St. Mary’s we’re trying to provide something for children of all ages, at the moment we have many activities for the very young through to end of primary school, both in services and more informal groups. You will find details of all this below. We hope you find something that will suit you. I send out an email a couple of times a month with the latest information about children’s activities: if you are interested you can sign up here. — The Revd Russell Dewhurst Baptisms are always a source of great joy and celebration. At St. Mary’s baptisms always take place during one of the Sunday services so that children are welcomed into the Parish family by members of the Parish family. We are always happy to help if you are considering baptism for your child, or for yourself. Find out more. Children of all ages are very welcome at St. Mary’s. We have a large area at the back of church where children can play and relax whilst in the service with their parents. There is a special service for toddlers on the third Sunday of every month – see below for more details. Toddler groups are held twice a week in the church hall opposite the church. Fun, friendly and informal. At St. Mary’s we run two toddler groups in the Church Hall on Monday afternoons and Thursday mornings in term time. Sessions include an hour of free play with many toys and craft activities available, followed by refreshments and songs. £1 per family per session. Find out more. Our monthly service for toddlers and their families at St. Mary’s. 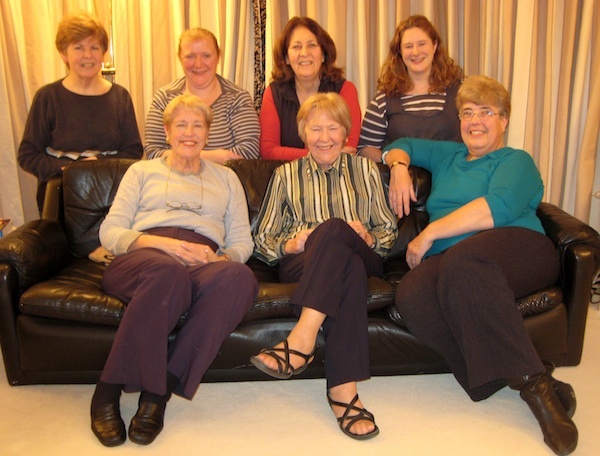 Short and informal, with lots of activity and an opportunity for a chat and play afterwards. Held on the third Sunday of the month at 11am. Come and join us there! Find out more. As children get older and begin to grow as young people, their interest and curiosity in exploring their faith increases. At St. Mary’s we have various groups and activities for children to discover their faith in more and less formal ways. Children’s Hour meets during the 9.30am Sunday Service in term time. We meet in the Church Hall for Fun, Music, activities, and story time before joining the rest of the congregation in church for a blessing during Holy Communion and the end of the service. For children aged around 3 to 9 years old. Parents are welcome to stay and join in the fun. Find out more. On the first Sunday on the month at 11am we have our all-age family service, Praise@11. Following on from Toddle Up! it is a fairly short and informal service, beginning with an activity and followed by refreshments and a chance to have a chat and a play. At present we’re trying to get a band together to play at the service, if you are interested then please let us know! Find out more. In holiday times we often run fun days at the church, which are open to all children aged around 5 to 11 years old. The days consist of many themed activities and finish with a short service led by our vicar, Russell. Find out more. A group for children aged around 4-11 with craft and game activities set out so that children can choose what they want to do. Parents and carers please stay and have a tea or coffee and chat. Drink and snacks available for children throughout. From 3.30-4.30 on Wednesdays in term time in the church hall – no need to book! Find out more. Our new evening monthly service that we are trialling over the Summer months for all ages. Come and share a drink with us at our service which allows everyone to worship in the way they feel comfortable. From 5-5.45pm with creative and active parts, but only if you want to do them! Followed by our new young youth group, Club Sandwich (see below). Find out more. Our new young youth group for 7-10 year olds that meets monthly after the All-In service on Sunday evenings. Meets in the Parish Room (in the church) from 6-6.345pm. We make and eat supper together, discuss over the meal the topics in the service and finish by playing some games. So far the chocolate game has proved very popular! Find out more. Guides and Brownies meet on a Thursday evening during school term time in the Church Hall, opposite the church. Find out more about brownies and guides. St. Mary’s has many opportunities for singing, including through our parish choir: find out more. For further information about the above groups, please get in touch through the parish office. You can also contact our Child Protection Officer, who works closely with all children and youth groups associated with the church. The PCC formally ratifies the parish child protection policy each year. Our children’s activities are organized through St Mary’s “Children’s Support Group”. A photo of some of the members of the group is shown left. Scholarships: We offer organ scholarships, choral scholarships, and junior choral scholarships. Would like to join one of our choirs? the Parish Choir or St Mary's Singers.